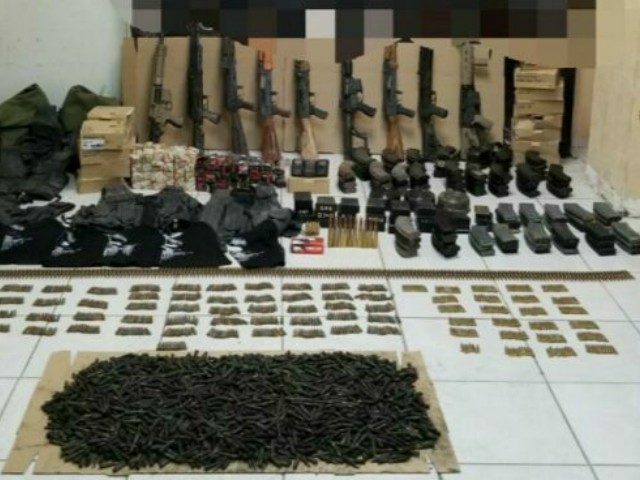 PIEDRAS NEGRAS, Coahuila — The seizure of a large cache of military weapons at a rural area near this border city points to the dangerous cartel, known as Los Zetas continuing to arm themselves in order to continue terrorizing this region. Recently, state authorities found an arsenal of weapons hidden by Los Zetas off a rural road near Piedras Negras, just across the border from Eagle Pass, Texas. The weapons included a .50 caliber rifle, a rocket launcher, six AK-47s and three AR-15s. Officials also seized 1,500 cartridges of different calibers. The officers also found vests and other tactical equipment. All of the seized items were turned over to federal authorities for further investigation. State authorities found the arsenal as part of an intelligence-driven operation aimed at minimizing the violent capabilities of the cartel known as Los Zetas. As Breitbart Texas reported, the Los Zetas group known as Cartel Del Noreste (CDN) is the one that maintains its presence in Piedras Negras. The CDN is being challenged by other cartels as well as independent groups. In recent months, groups of cartel hitmen carried out multiple executions that spread panic among the residents of this city. Although authorities arrested several of the hit men, state judge Maritza Gonzalez Flores continues to release them under the argument that there is no evidence tying them to the crimes, Breitbart Texas reported. 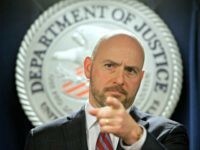 The judge released numerous cartel-linked drug dealers under suspicious rulings.